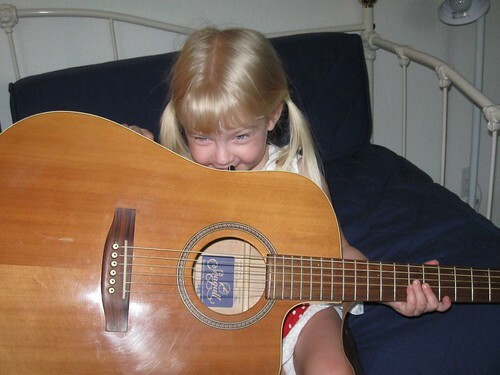 So, this afternoon Emma and I practiced playing.. The piano. 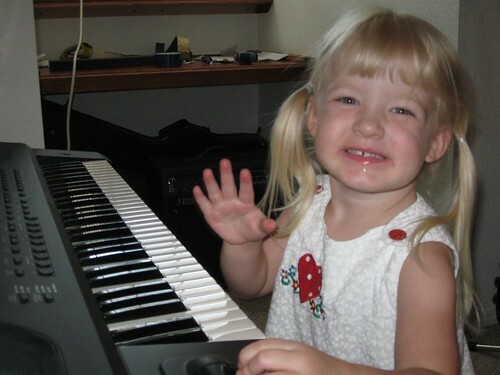 She learned that different keys made different noises. The guitar. She learned not to bang on the string! 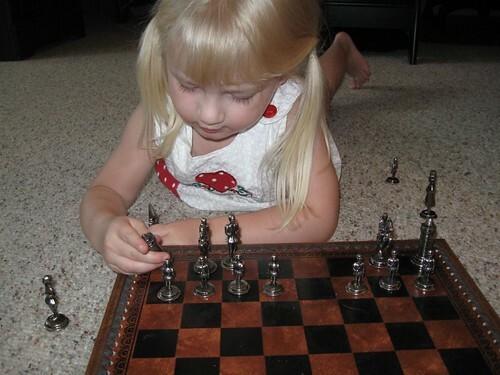 And chess.. She learned that Daddy’s pieces are gold and her’s are silver.